You’ve seen their gorgeous outdoor furniture at WestEdge for the last couple years. And now, Tidelli has opened a showroom in the Pacific Design Center so you can visit them more often in Los Angeles. Please join us and partners Modern Luxury’s Interiors California and Angeleno Magazines, this Thursday, May 25 to celebrate the grand opening of this Tidelli showroom. Details are below. 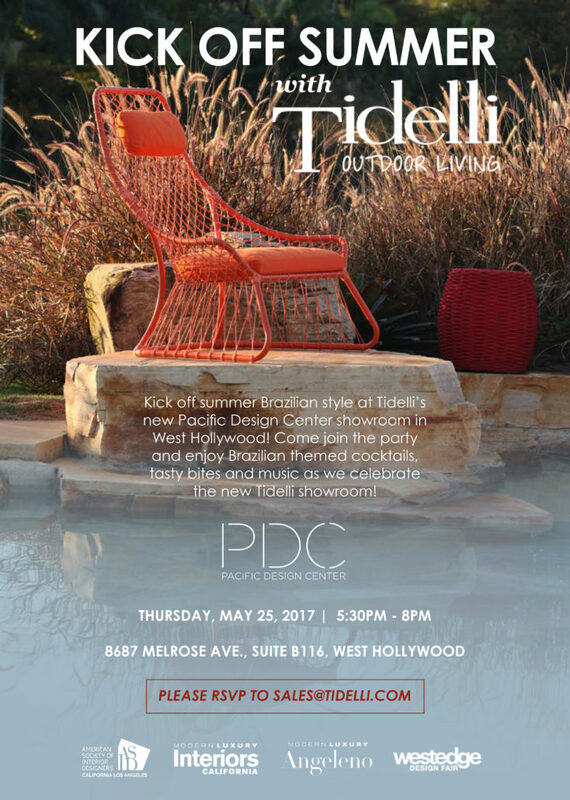 Share the post "Join Us May 25 to Celebrate Tidelli at the PDC"